Meet various end user demands, including extra living space, enhanced light and added security by using Dempsey Dyer's trade supply service of conservatories. Choose from our in-house manufactured timber frames, or a range of conservatory systems from third party market leaders. Discover more about our timber conservatories. Find out more about our UPVC conservatories. 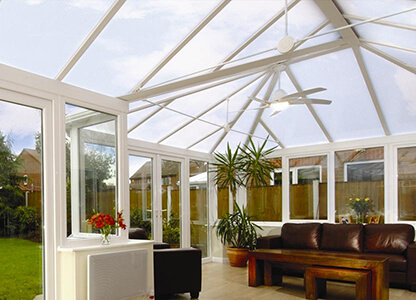 Homeowners choosing conservatory installation want to ensure they are spending their money on the best options available. With Dempsey Dyer’s high quality conservatory systems, this is guaranteed. We manufacture our own timber conservatories, and can supply complete uPVC systems by combining our own windows and doors with externally supplied roof systems allowing you to create a solution that meets your exact requirements. 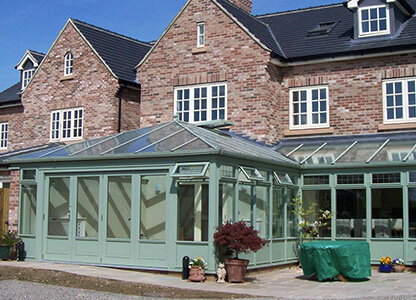 Why choose Dempsey Dyer’s conservatories? Durability and aesthetics – features that come together with bespoke timber conservatories to offer impressive style and performance. Combining an external supply of high performance roof systems and integrating this with our in-house made windows and doors ensures that quality is guaranteed!